CLASS P1 Beginners – Pre Grade 1 2 mins. 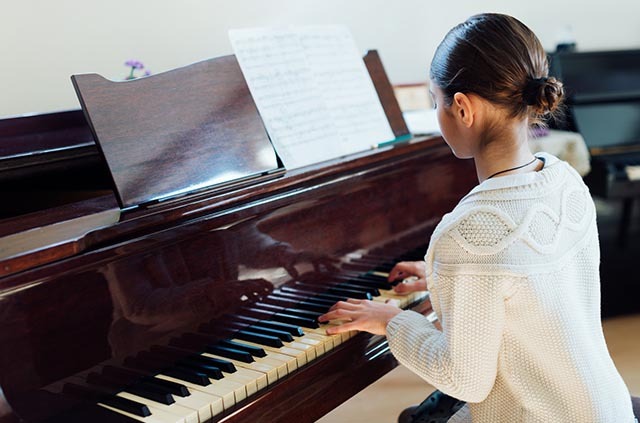 Beginners may not enter a graded class or play a piece from a current list of graded music. GRADED CLASSES The title and timing of each piece must be stated on the entry form. CLASS P2 Grade 1 CLARE TAYLOR CUP (P1 – P6) 2 mins. CLASS P7 Grade 6 LYNETTE MOSS CUP 4 mins. CLASS P8 Grade 7 PLAQUE 5 mins. CLASS P9 Grade 8 MORRIS VAUGHAN CUP 6 mins. SOLO CLASSES OWN CHOICE All ages must be calculated as on the date of the Festival class. CLASS P10 7 years and under SM JUDGE CUP 2 mins. CLASS P11 8 years EDNA GLADYS COATEN CUP NO. 1 2 mins. CLASS P12 9 years EDNA GLADYS COATEN CUP NO. 2 3 mins. CLASS P13 10 years BRANT OF CHINEHAM CUP 3 mins. CLASS P14 11 – 15 years MARY LEE CUP 4 mins. CLASS P15 16 – 18 years PAUL GARLAND CUP 5 mins. ADULT SOLO Open to adults of all standards, including professionals. CLASS P16 Adult solo Non-competitive 5 mins. CLASS P17 Adult solo Competitive BETTY McCORMICK CUP 6 mins. CLASS P22 11 years and under VICTORIA DAVIES CUP 5 mins. Any one movement from a Sonatina or Sonata from any musical period. CLASS P23 12 – 18 years JEAN MURPHY CUP NEW FOR 2019 8 mins. Any one movement from a Sonata from any period. CLASS P24 Baroque Solo Open Own choice JOAN BOYD CUP NEW FOR 2019 8 mins. CLASS P25 Chopin Solo Open PATRICIA SMART SILVER SALVER 8 mins. CLASS P26 Contemporary Solo EM NORMAN CUP 8 mins. Own choice of a piece composed no earlier than1900. CLASS P27 Open Solo Own choice, one piece or movement. Duration to be stated on entry form. CLASS P28 Own Composition 18 years and under 5 mins. CLASS P29 Jazz, Blues or Rag 11 years and under 3 mins. CLASS P30 Jazz, Blues or Rag 12 – 15 years 4 mins. CLASS P31 Jazz, Blues or Rag 16 – 18 years 5 mins. RECITAL Performance of 2 or 3 pieces in contrasting styles, not played in any other class. CLASS P18 11 years and under FARLEIGH CUP 10 mins. CLASS P19 12 – 15 years ALISON HEAL TROPHY 12 mins. CLASS P20 16 – 18 years MIRANDA LEE CUP 15 mins. CLASS P21 Open FESTIVAL CUP 15 mins. CLASS P32 16 years and over May be amateur or professional. 15 mins. in the North London Music Festival, which will be held in Spring 2019.
any age, or a student with their teacher. Adult and Family classes may include professional players. CLASS P33 Duet 11 years and under THE ROBINSWOOD DUET SALVERS 4 mins. CLASS P34 Duet 12 – 18 years THE DOLMAN DUET SALVERS 6 mins. CLASS P35 Amateur Duet – Open STAN TAYLOR MEMORIAL CUP 4 mins. CLASS P36 Open Duet PLAQUE NEW FOR 2019 6 mins. CLASS P37 Adult Duet 4 mins. CLASS P38 Family Duet PLAQUE 6 mins. CLASS P39 Trio May be any age. THE DOLMAN TRIO SALVERS 5 mins. CLASS P40 Accompaniment 11 years and under NEW CLASSES FOR 2019 4 mins. CLASS P41 Accompaniment 12 – 15 years 6 mins. CLASS P42 Accompaniment 16 – 18 years 8 mins.